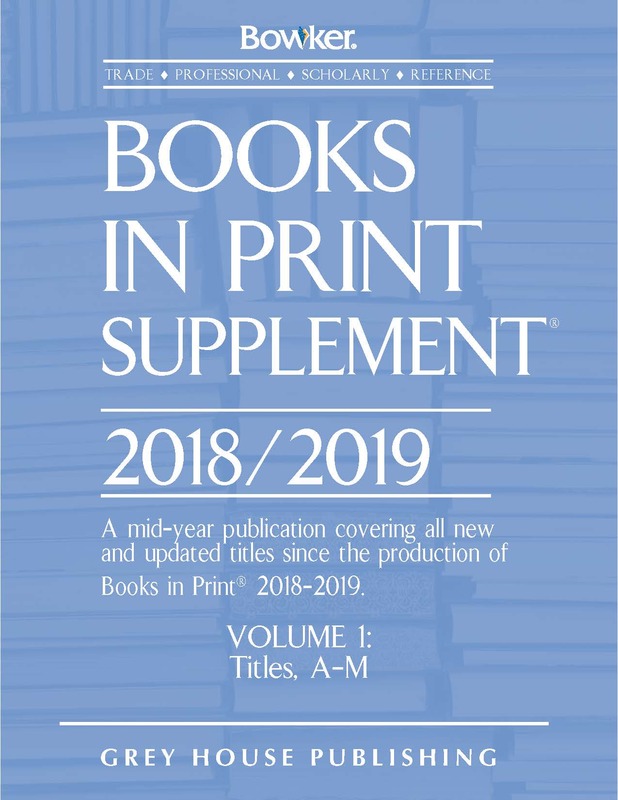 Books in Print, now in its 72th Edition, is the go-to source for bibliographic information on the over two million titles published or distributed in the United States since 2005. This seven-volume, 18,000+ page edition offers users immediate access to over 2.5 million active titles from over 75,000 U.S. publishers. This new edition, with over 500,000 more entries than the previous edition, is a vital resource for any library. This reference tool allows users to track down any title—even hard-to-find titles from small presses. With so many titles, authors, illustrators, publishers, wholesalers, and distributors all in one consolidated source, finding the key information library patrons need to track down their favorite books has never been easier. 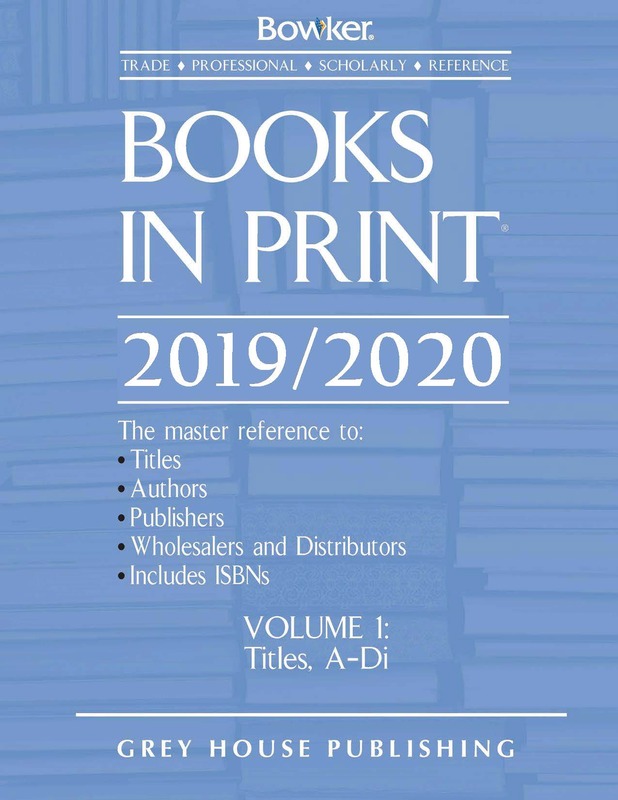 Just as in previous years, 2019/2020’s Books in Print is separated into seven large volumes, for categorization by Title, Author, Publisher Name, and Wholesaler & Distributor Name. All indexes are presented alphabetically, then numerically, ensuring effortless research for the user. Volume I begins with a Preface and a special “How to Use” guide, with information on Compilation, Data Acquisition, ISBN Agency, SAN (Standard Address Number), and more, followed by enlarged sample entries for the Title Index, Publisher Name Index, and Wholesaler & Distributor Name Index. Next come lists of Publisher Country Codes, Country Sequence, Language Codes, and Abbreviations, making sure users can quickly and efficiently navigate this guide. The Title Index comprises the remainder of Volume I, as well as the entirety of Volume II, Volume III, Volume IV, and the first half of Volume V. Each entry in this Index contains definitive information about each book, including: Title, Contributor, Edition, Publication Year, Number of Pages, Grade, Binding Type, ISBN, Publisher, and Imprint Symbol. Featuring hundreds of thousands of contributors, the second half of Volume V begins the Author Index, where users can search for all works written by a specific contributor. The Author Index continues through Volume VI and the first part of Volume VII. The Publisher Name Index follows in Volume VII, and each entry provides important company details such as Publisher Name, ISBN Prefixes, Division, CIP Identifier, SAN, Distributors, and Contact Information. Volume VII—and the entire edition—finally closes with the Wholesaler & Distributor Name Index, providing key components such as Distributor Name, ISBN Prefix, Division, SAN, and Contact Information. For 72 consecutive years, R.R. Bowker’s Books in Print has served as a top-shelf resource for librarians and their patrons across the country. With over 2,500,000 titles on file, this updated reference tool continues to provide valuable, detailed information on all recently published books far and wide. 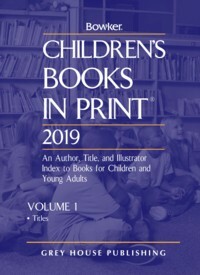 Children’s Books in Print, now in its 50th Edition, is the go-to source for bibliographic information on the thousands of children’s and young adult titles published or distributed in the United States. This two-volume, 3,500-page edition offers users immediate access to over 275,000 children’s books from over 20,000 U.S. publishers. Books in Print Supplement is the essential mid-year companion to R.R. Bowker’s Books in Print publication, providing the latest book publishing updates to readers and library patrons across the country. Issued six months after Books in Print, this title is a must for keeping pace with the hundreds of thousands of changes happening in the publishing industry each year. 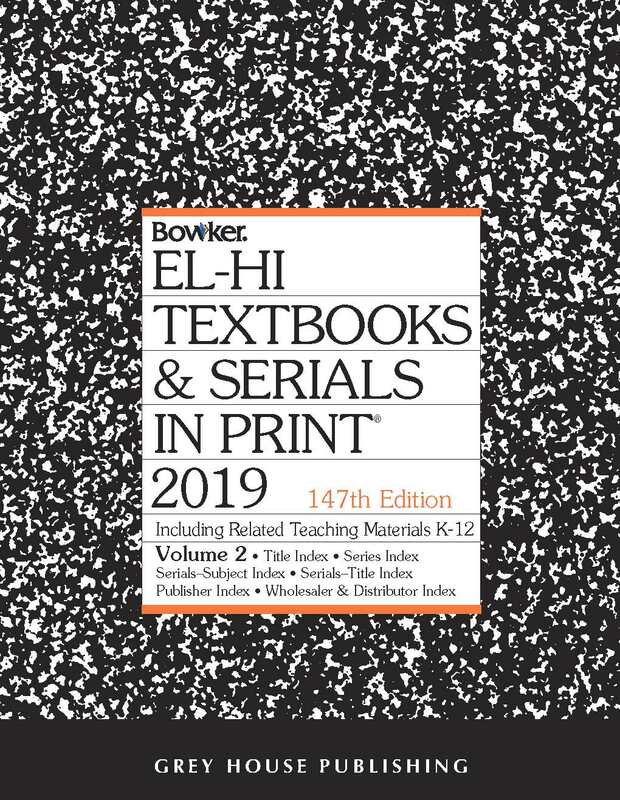 El-Hi Textbooks & Serials in Print, now in its 147th Edition, is the go-to source for bibliographic information on the thousands of elementary, junior high, and high school textbooks published or distributed in the United States. This two-volume, 4,00-page edition offers users immediate access to over 195,000 titles from over 17,000 U.S. publishers.